As the global environmental crises grows so the trend for mindful eating is rising, children are taking to the streets in protest of the government's lack of action and as consumers we really do need to buck up our act when it comes to sustainable consumption. Cutting back on plastic encased and processed foods with countless e-numbers can help clean up your body as well as the planet. Plant-based recipes are a great way to start improving your lifestyle and are a natural pathway towards getting a healthier body and mind. 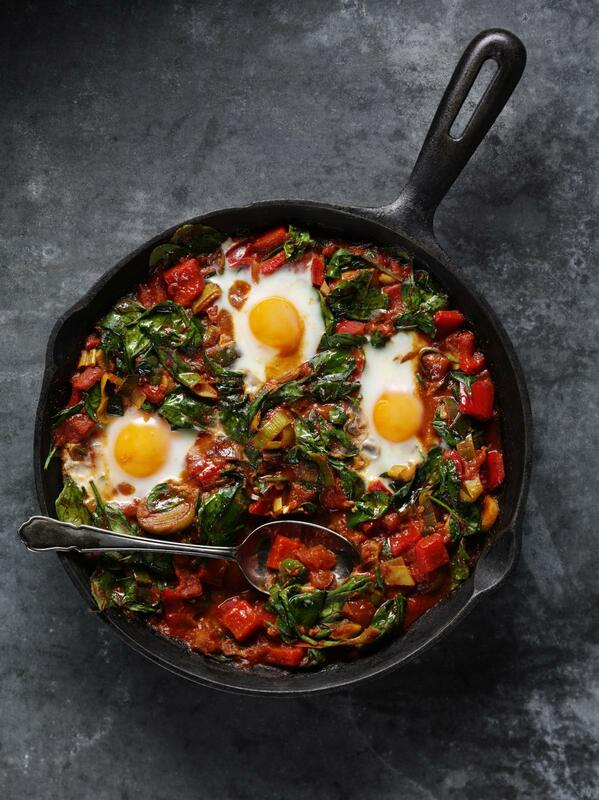 You might think vegetables rather unexciting, but clever chefs and experts have created all sorts of delicious recipes that mean you won't be losing out on taste. The Discover Great Veg campaign has some truly scrumptious recipes that we can’t wait to try at home. We’d like to share them with you! 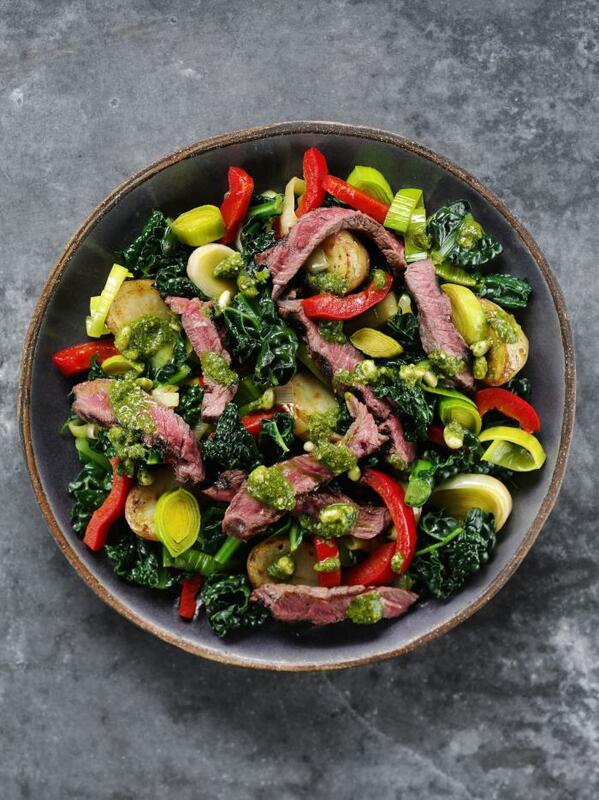 Try swapping the steak for lamb leg steaks or chicken breasts. Heat the oil in a large sauté or frying pan and fry the leek and pepper for 3-4 minutes, add the spices and cook for 1 minute, season. Stir in the tomatoes and 100ml water, cover and simmer for 2 minutes. Add the spinach and cook for a few moments until just wilted. Make 4 indents in the mixture with the back of a spoon and crack an egg into each. Cover and cook gently for 3 minutes until the whites have set but the yolks are still runny. Serve immediately. For a spicier version, try using hot smoked paprika. Great served with warm flatbreads to scoop up the tomato sauce. Place the eggs in a small saucepan of cold water, bring to the boil and cook for 2½ minutes, drain and run under cold water. Peel and cut in half. Meanwhile, heat the stock in a large saucepan with the chicken, ginger and soy, cover and simmer for 5 minutes. Add the noodles and sweetcorn and cook for 4 minutes, covered. Stir in the cavolo nero and cook for a further 4 minutes. Stir in the spinach for a few moments until just wilted and serve in 4 bowls topping each with 2 halves of egg. Egg noodles or thick rice noodles work well in this soup too. Great for using up leftover roast chicken. 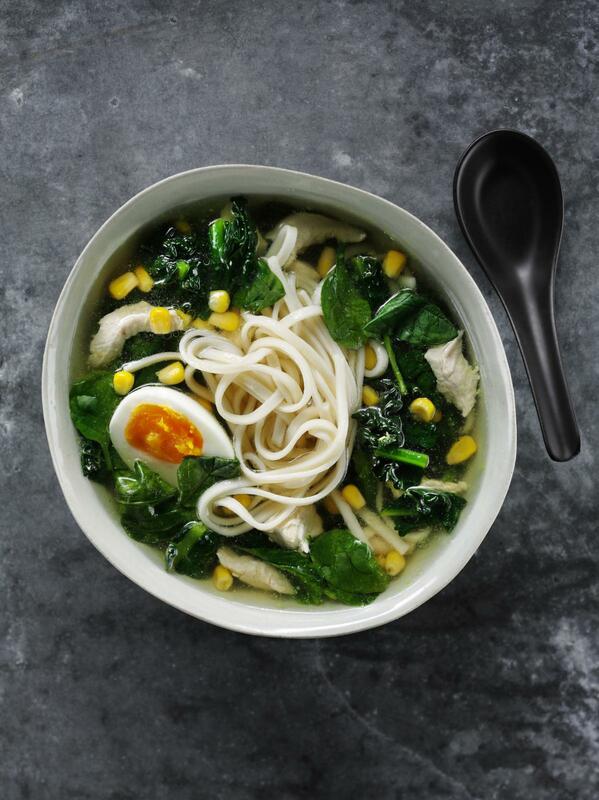 Try replacing the chicken with pak choi, omit the eggs and use vegetable stock for a vegan option. Can you go vegan for Lent?